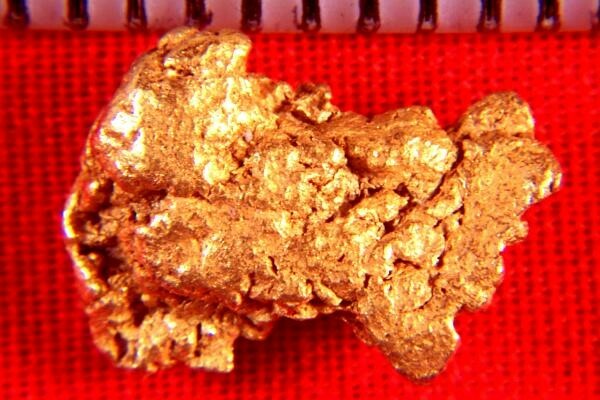 This Natural Gold Nugget from Colorado weighs 40.5 Grains (2.62 Grams) and is 9/16" (14 mm) long. it is not often that you see a gold nugget this large come out of Colorado as Colorado gold is usually very small and fine. This is the only Colorado gold nugget that I have over one gram in weight. 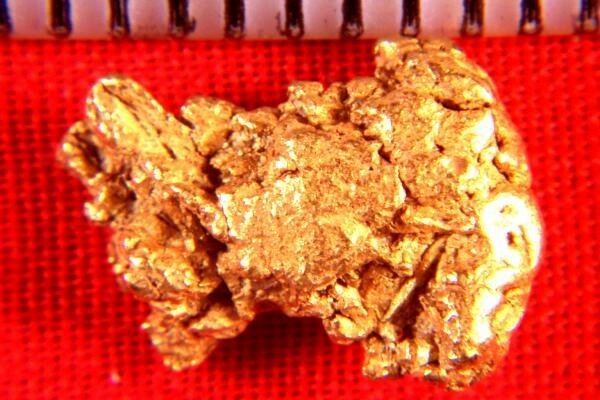 This gold nugget has a beautiful color, and has a great shape. It is a clean hand selected jewelry grade nugget. It is 92% to 98% pure (22 KT to 23 KT).